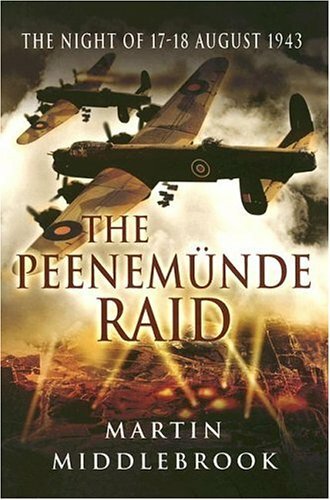 This book describes one twenty-four-hour period in the Allied Strategic Bomber Offensive in the greatest possible detail. 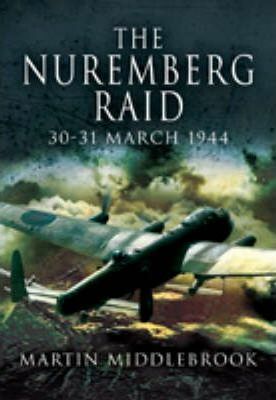 The author sets the scene by outlining the course of the bombing war from 1939 to the night of the Nuremberg raid, the characters and aims of the British bombing leaders and the composition of the opposing Bomber Command and German night fighter forces.The aim of the Nuremberg raid was not unlike many hundreds of other RAF missions but, due to the difficulties and dangers of the enemy defenses and weather plus bad luck, it went horribly wrong. The result was so notorious that it became a turning point in the campaign. The target, the symbolic Nazi rally city of Nuremberg, was only lightly damaged and 96 out of 779 bombers went missing.Middlebrook recreates the events of the fateful night in astonishing detail. The result is a meticulous dramatic and often controversial account. It is also a moving tribute to the bravery of the RAF bomber crews and their adversaries. 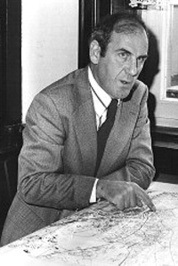 As reviewed in the Wall Street Journal: Using firsthand accounts, Mr. Middlebrook follows the planning, preparation and execution of the operation in meticulous detail, but he does more than that: Employing hundreds of eyewitness accounts, he shows the raid from the point of view of the German defenses and the civilians on the ground. Factual and analytical, this is a portrait of mechanized warfare at the level of personal experience. Wall Street Journal, March 2016REVIEWS provides a compelling narrative of a day in the life of a RAF bombing mission. IPMS USA, 02/2010 Using firsthand accounts, Mr. Middlebrook follows the planning, preparation and execution of the operation in meticulous detail, but he does more than that: Employing hundreds of eyewitness accounts, he shows the raid from the point of view of the German defenses and the civilians on the ground. Factual and analytical, this is a portrait of mechanized warfare at the level of personal experience. Wall Street Journal, March 2016"